At Hidenwood Apartments, we offer spacious one-, two-, and three-bedroom apartment homes. 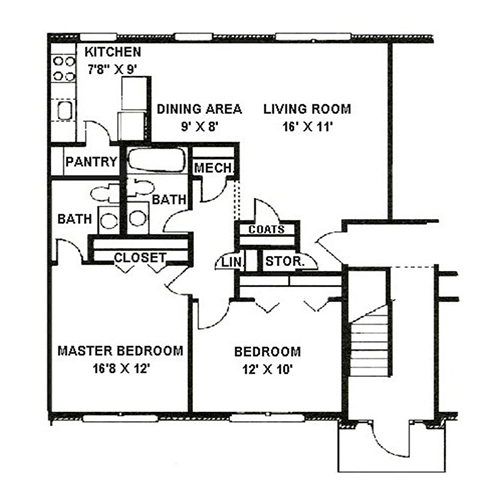 Our affordable floor plans offer residents a variety of living options to choose from. 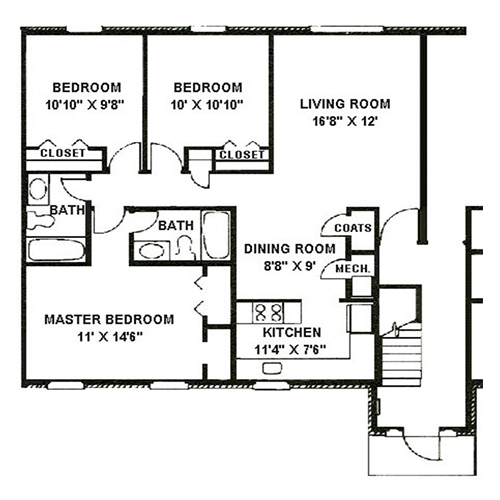 Our three floor plans are The James, The Newport, and The Hidenwood. Our one-bedroom apartment, known as The James, offers one bedroom and one full bathroom. This cozy apartment is approximately 616 square feet, with a full kitchen, large closets, and separate dining room area. The Newport is our two bedroom floor plan with two separate bedrooms, one full bathroom, and one half bath. This apartment is approximately 842 square feet, offering a full kitchen, large closets and plenty of kitchen cabinet space. 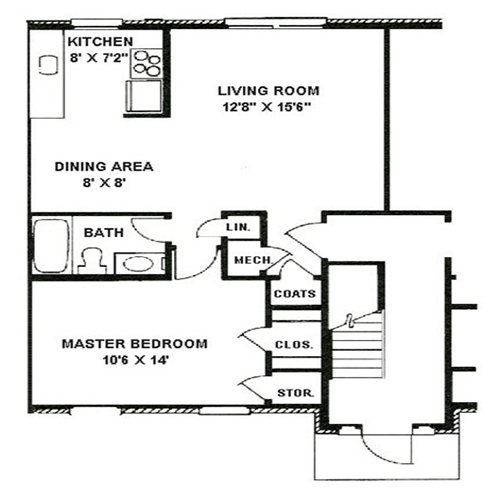 Our three-bedroom floor plan, known as The Hidenwood, offers a spacious layout with three separate bedrooms and two full bathrooms. With approximately 1,038 square feet, this apartment offers a fully-equipped kitchen, electric appliances, and stackable washers and dryers..